Amid the ravages of a world war, three men – a General, a President, and a Prime Minister – are locked in a rivalry that threatens their partnership and puts the world’s most celebrated city at risk of destruction before it can be liberated. This is the setting of The Paris Game, a dramatic recounting of how an obscure French General under sentence of death by his government launches on the most enormous gamble of his life: to fight on alone after his country’s capitulation to Nazi Germany. In a game of intrigue and double-dealing, Charles de Gaulle must struggle to retain the loyalty of Winston Churchill against the unforgiving opposition of Franklin Roosevelt and the traitorous manoeuvring of a collaborationist Vichy France. How he succeeds in restoring the honour of France and securing its place as a world power unfolds as a stirring and engrossing drama. 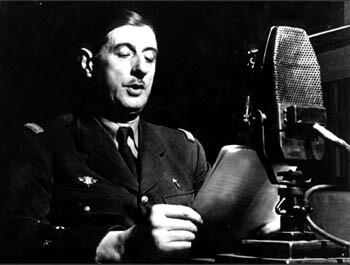 Long dismissed as a vain and arrogant self-seeker after glory, Charles de Gaulle is revealed in The Paris Game as a transformative figure of the twentieth century. His unflagging determination brings France back from defeat and saves it from the twin threats of Communism and dictatorship. When a revolt in Algeria threatens France with civil war, de Gaulle is given the chance to make good on his final gamble to reshape the Republic. Restored to power, he exults: “I have played my cards well. I’ve won!” As President of France, he sees the country prosper and its culture flourish, while he stakes out an independent path in global diplomacy, setting an example for other middle powers around the world. Ray Argyle is a Canadian journalist and author who has written several books of biography and political history. His long association with France began as a young reporter aboard the first trans-polar commercial flight from the west coast of North America to Europe. He returned to Paris many times, soaking up the atmosphere of the City of Light while tracking the political career of Charles de Gaulle and his successors in the Fifth Republic. Argyle worked for United Press International before establishing Argyle Communications Inc. where he counselled political leaders and business executives. He received the Queen Elizabeth II Diamond Jubilee Medal for significant contributions to Canadian life. When not travelling in France, he lives in Kingston, Ont., with his partner Deborah Windsor.